There are many benefits of Tiled Roofs that you just may not know about! Coming in a range of colours, designs and they’re very low maintenance, Tiled Roofs are the perfect Roof Material. So if you want to know some more benefits of Tiled Roofs then read this article, ‘Benefits of Tiled Roofs’, to find out more! Tiled Roofs remain the most popular form of Roof Material to this day, and for good reason. With the usefulness and practicality, it’s no wonder they have been around for many years, and it seems they are here to stay. The concrete is designed to last beautifully through any weather, they are strong and gracefully stand up against the harsh weather Britain has sometimes. This means they don’t wear and tear easily, so you can enjoy your roof for longer, in whatever climate. Once installed, Tiled Roofs require very little upkeep. They can retain their vast usefulness for life. Made from beautiful natural materials, they require very little to no technology to maintain their durability. 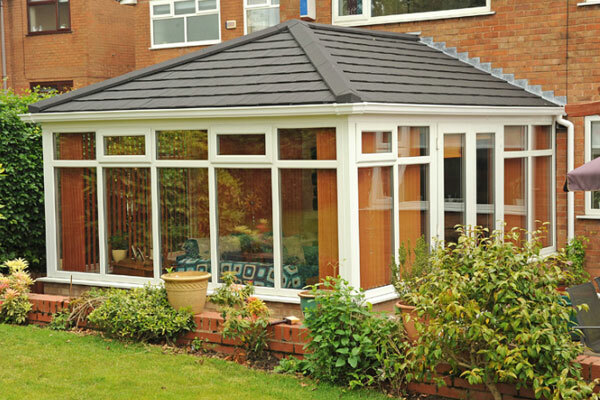 Tiled Roofs come in a range of colours, this makes it easier to choose which would look the best on your conservatory, and they are also produced in a range of designs so every customer can be spoilt for choice. Tiled Roof’s thermal performance means more heat can be retained in your home, maintaining the temperatures at a comfortable level. This makes your home more pleasant and comfortable. Tiled Roofs are Eco-Friendly and come with many advantages. They are energy cost saving because their insulation allows natural air to flow. This helps to keep the cost of heating and cooling in your conservatory low as Tiled Roofs does some of the work for you for free.